In 45 minutes from San Jose to your destination. 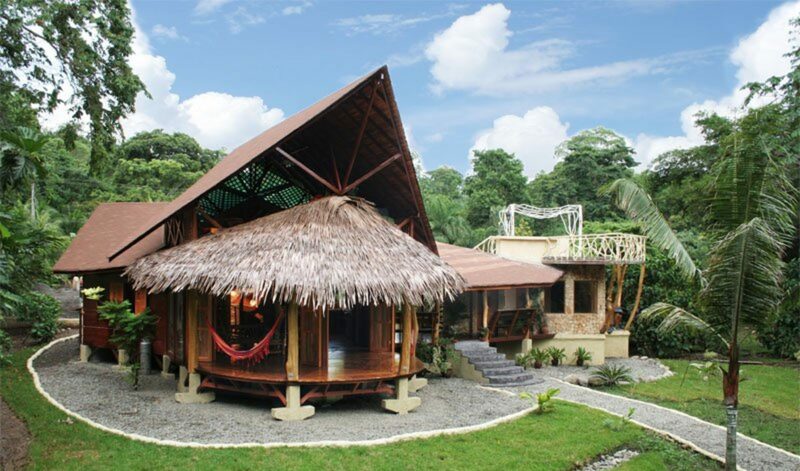 The tree house now offers a one way flight from San Jose to Sixaolas banana airport from $850 up to 5 people from December 15th through April 1st. Once you leave the San Jose district your plane faces towards the Caribbean coast. In a few minutes time you will reach the Irazu Volcano and later you will see the active Turrialba volcano on your left. After the cachi dam, for 30 minutes there is nothing more than forest below you. On a clear day the pilot can fly over the village of Puerto Viejo and you will probably see the Tree House from above. The last part of your flight takes you into the banana plantations on the southern border with Panama.The only thing beneath you are banana plantations! The plane will then land on the Chiquita landing strip. You will experience nothing less than a positively amazing adventure on this trip. We wait for you on the ground and take you on a ride (approx) 30 minutes to the Tree House. Between the place you land and your Tree House destination, is no more than tons of bananas and lots of rainforest. We charge an extra pick up from the airport for $50.